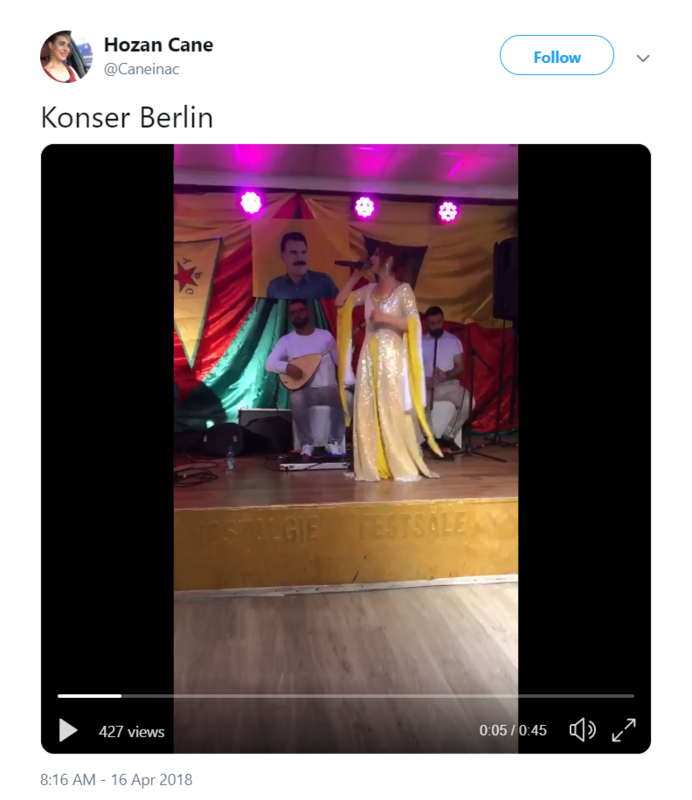 On 14 November 2018, Rudaw published a news story about a Kurdish-German singer named Saide Inac, better known as Hozan Cane, who was sentenced to six years and three months in prison for membership of an armed terror group in Turkey. 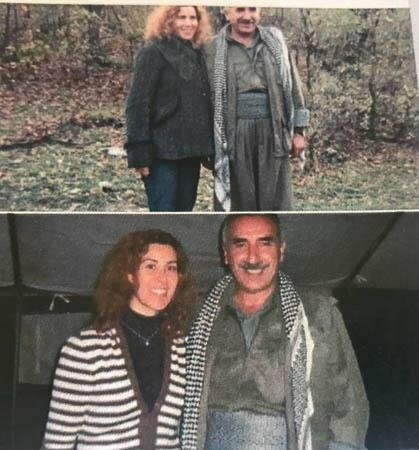 The Rudaw story claims that the court case is merely based on photographs that were taken during the filming of a documentary in which Cane posed with actors playing militants of the People’s Protection Units (YPG), the Syrian wing of the outlawed Kurdistan Workers' Party (PKK) which is designated as a terrorist organization by Turkey, the EU and the US. However, Hozan Cane’s support for the PKK is not confined to this and is well-documented. 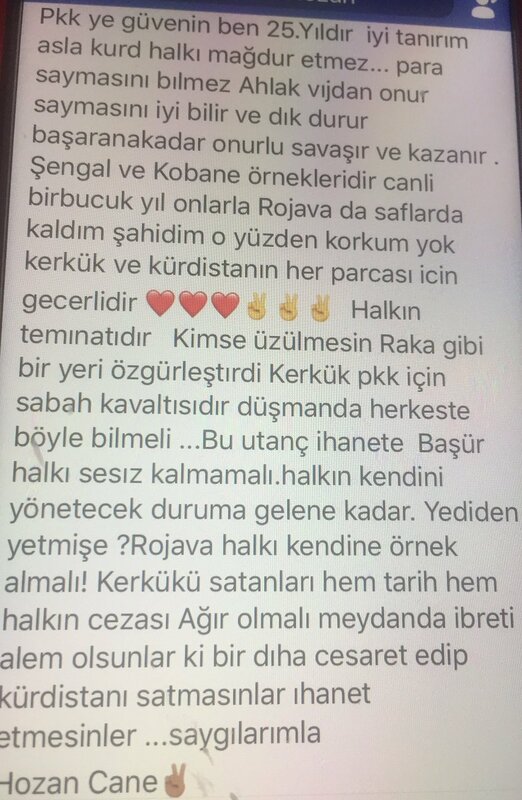 Her social media accounts are awash with posts clearly demonstrating her close ties to the PKK. 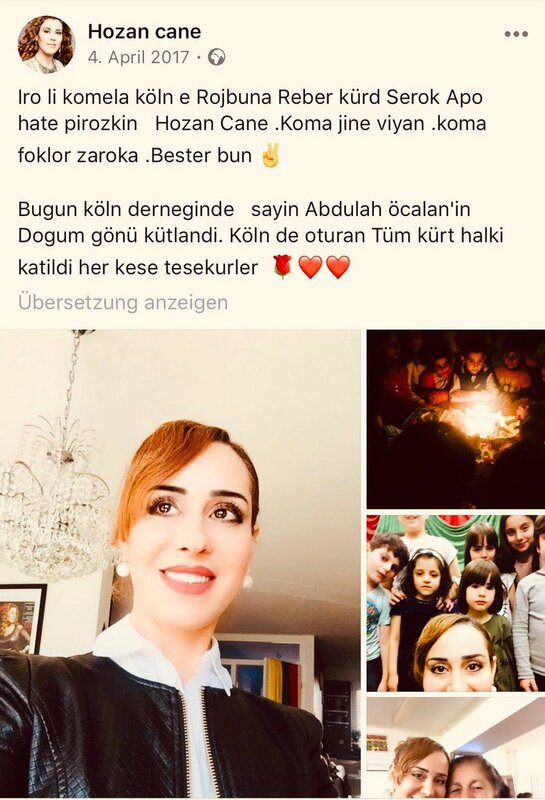 Secondly, in another social media post dated 4 April 2017, Cane stated that she had attended a so-called birthday party in Germany for the jailed PKK leader Abdullah Ocalan: “Today, the birthday of Mr. Abdullah Ocalan was celebrated at the Cologne Association. All Kurdish people living in Cologne participated. Thanks everyone!” she said, sharing photographs from the event. 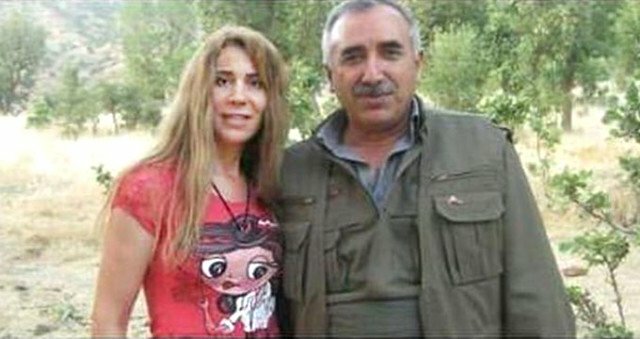 Thirdly, when arrested in late June 2018, she acknowledged the photograph taken with senior PKK militant Murat Karayilan at the PKK headquarters in the Qandil Mountains. The US recently offered rewards up to $5 million for information on three top PKK militants, including Karayilan. 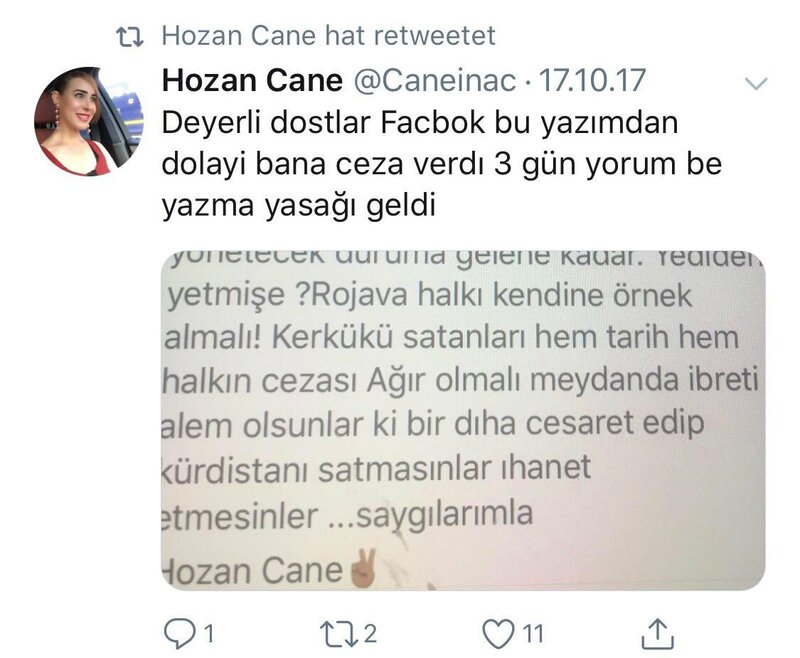 Finally, Hozan Cane posted a video on her Twitter account on 16 April 2018 in which she appeared to hold a concert right in front of a poster of Abdullah Ocalan.